SquigglyTwigs Designs: Introducing the Simply Lovely Dress e-Pattern; dollie dress, too! 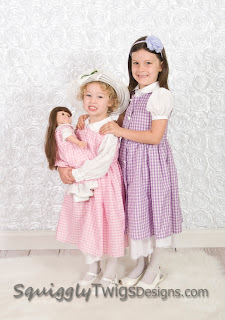 Introducing the Simply Lovely Dress e-Pattern; dollie dress, too! 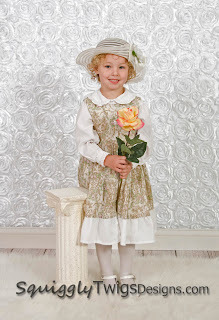 This dress is so easy, yet can be so elegant. A perfect play dress or an Easter Dress...it's all up to you and the fabrics you choose. own favorite shirt. You'll be assured a great fit. With this pattern-making knowledge, you can create a dress in any size from infant to adult. You can mix things up by using an empire waist or changing the length of the skirt. 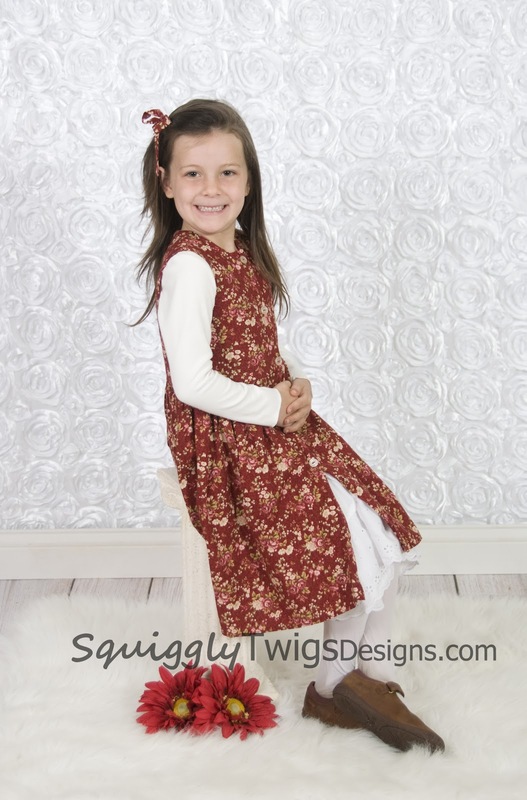 We use a long sleeve or short sleeve blouse under this dress, along with a petticoat. The petticoat tutorial can be found on our blog, here. 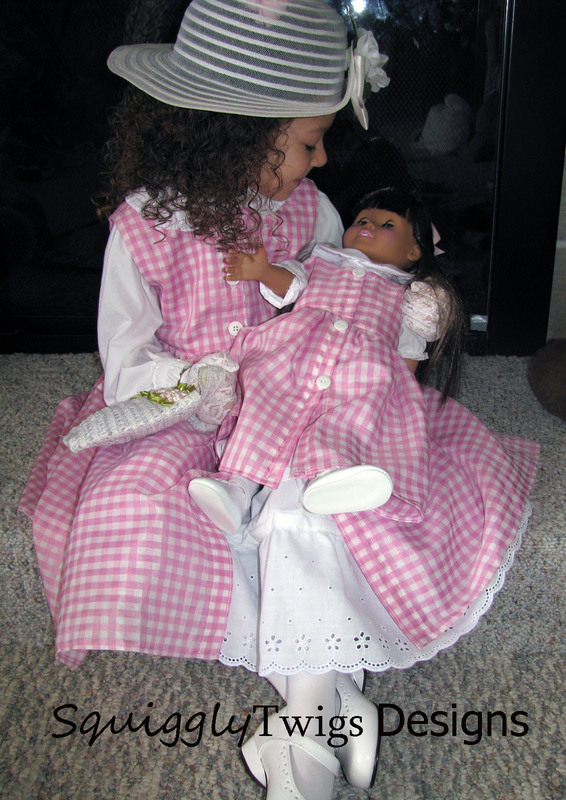 We've also included the bodice piece for a matching 18” doll dress.